Do you Sell Stamps Online? Install our free E-commerce App and Sell Stamps in just a few short steps. If you have been selling stamps for years or are just getting started, Ecwid can help you easily sell stamps online and quickly grow your business. 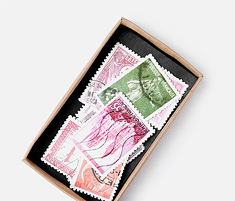 Whether you are selling large collections or rare individual stamps, looking to big collectors or the general public, Ecwid’s feature-rich and free e-commerce platform is easy to set up and run. If you have ever wondered exactly how to sell stamps online, but were not sure where to start, Ecwid provides you with everything you need to get started today. 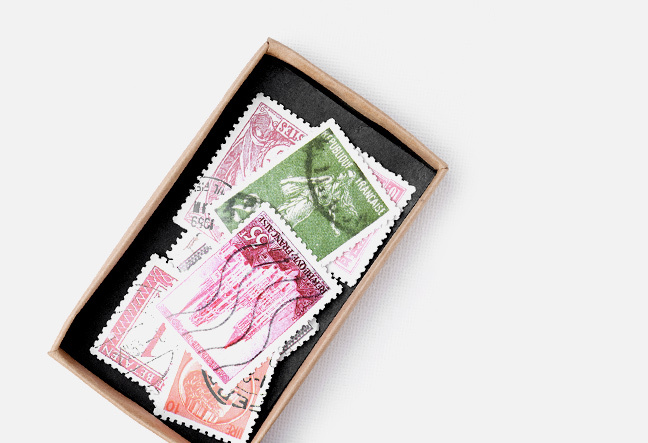 When you sell stamps with Ecwid, your online store will be seamlessly integrated into your new or existing website, and all of your stamps will display beautifully for your customers. They will be able to easily browse through your collections, make their purchase quickly and share their purchases with their friends using our social media sharing options. With only a few short steps you can begin to sell stamps online with Ecwid. There is no need to have prior experience with coding or web design. You simply copy and paste a few lines of short code into your website. Then you can begin to upload you product images and descriptions and start selling. Ecwid works with all major content management systems, custom sites and can even be added to your Facebook page. You can also synchronize your online store to sell stamps on other comparison shopping platforms like Google Shopping. If you manage multiple websites, your entire inventory is mirrored across your sites and easily managed from one user-friendly control panel. And your online store is fully customizable, so you can customize the look and feel to your business needs. When you sell stamps with Ecwid your customers will have a smooth and professional e-commerce shopping experience. Our lightning fast AJAX interface and full drag and drop support, will make shopping a breeze for them. With our responsive design, your online store will display beautifully on any screen your customers choose to view your store, including their smart phones or tablets. To sell stamps online with Ecwid means having complete control over your business, including customizing all of your shipping methods, payment options, taxes and more. You will also be able to track customer data and purchase histories and offer special promotions to help boost your sales. Ecwid also offers seamless upgrades, so that your online store is automatically updated when improvements and bug fixes are made. And all of these tremendous features are available for free, offering you unlimited storage, unlimited bandwidth and zero transactions fees. Should you feel that your business requires additional features and support, or your business quickly expands, Ecwid also offers a range of paid plans to help you get the most of your online store. Get started today and find out how easy it is to sell stamps with Ecwid. You’ll be amazed by how much control you have and how quickly you can build your business.